This is a fabulous book, highly recommended for anyone who has the slightest doubt about the lipid theory for cardiovascular disease. The book is jam packed with fascinating observations at every page turn. The writing is not dumbed down for the masses (not an "easy" read), but on the other hand the author does not get caught up in biological jargon that might cause the non-expert to get lost. The basic premise of the book is that cardiovascular disease is caused by the build-up of acid in the blood, which, in turn, is caused by excitation of the sympathetic nervous system (fight-or-flight response). Each chapter is short and compelling, building on the theory with support from a different slant. While details are left out, a long list of references at the end of every chapter allows the interested read to delve further if they so desire. The book effortlessly explains many observed associations with heart disease. For example, cigarette smoke is a risk factor because nicotine excites the sympathetic nervous system. Meditation reduces risk because deep breathing promotes the expulsion of carbon dioxide, an acid promoter. A newly learned fact that I relished is that the adrenal glands produce a natural cardiac glycoside similar to digoxin, which is used therapeutically to treat heart failure. Cholesterol is the substrate, and statin drugs interfere with its synthesis, which may help explain the observed association between statin therapy and heart failure. 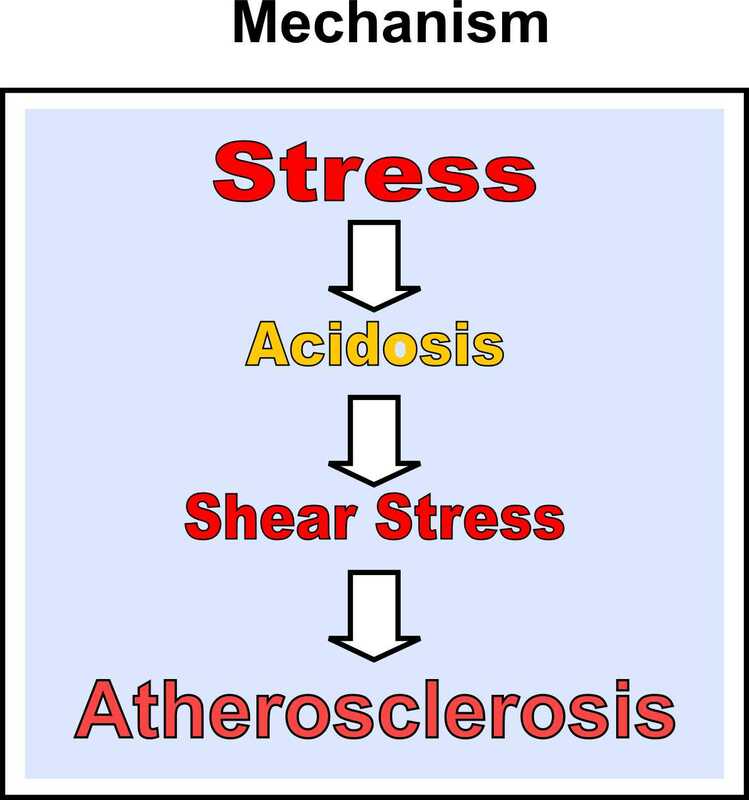 By the time you arrive at the final chapter, you have seen clearly how all the risk factors for cardiovascular disease can be explained by the acid theory, and this is where he lays it out "plain and simple" and ties it all together. After having read this book, you will never again believe that lowering LDL levels has any merit in the treatment of cardiovascular disease.